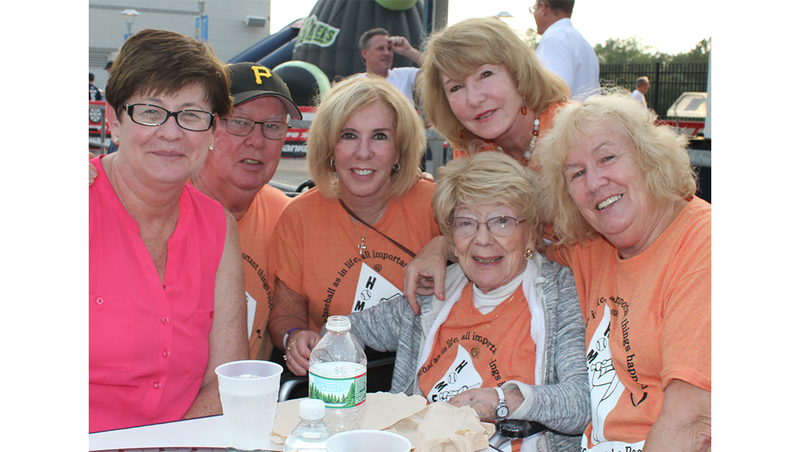 Over 50 Residents, Sisters, staff, and friends enjoyed a warm, sunny, summer night in Scranton yesterday at our annual Night at the Ballpark at PNC Field where the Scranton/Wilkes-Barre RailRiders took on the Indianapolis Indians. It was a welcome change to enjoy an outdoor activity considering all of the rain that’s been blanketing our region the past few weeks. 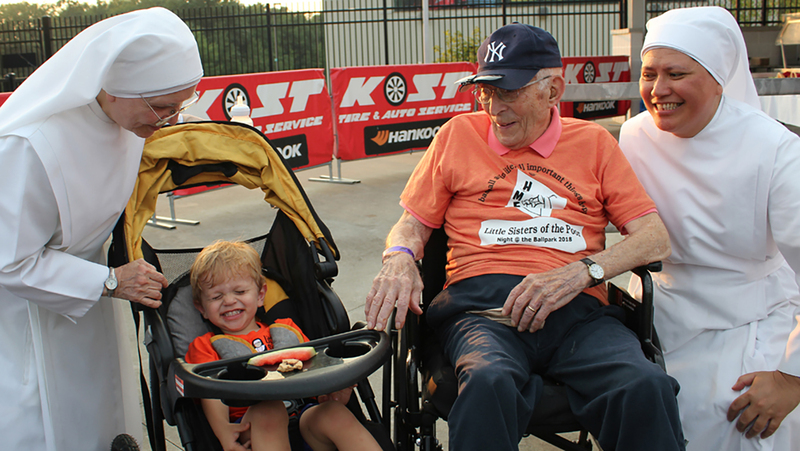 Following a delicious buffet meal in the Kost Tire Pavilion in left field, our group of fans, ages 2 to 102, kicked back and relaxed together. We shared lots of laughter and stories, not to mention watching some great baseball. 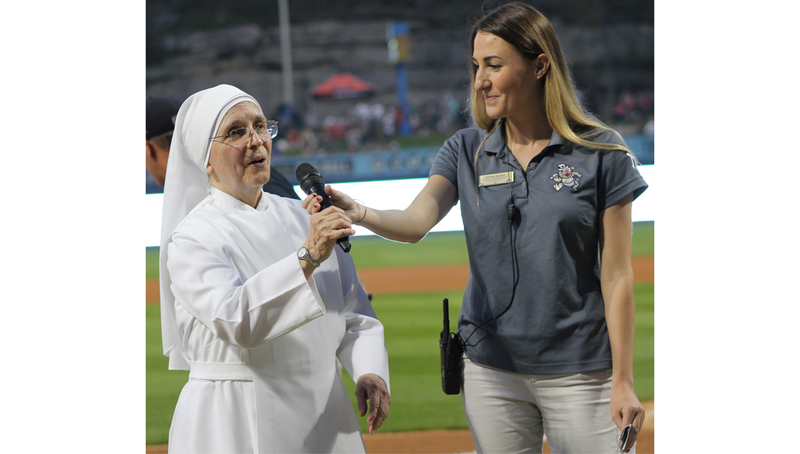 As we were enjoying ourselves, we had an unexpected guest join us from the RailRiders front office for a very special reason. 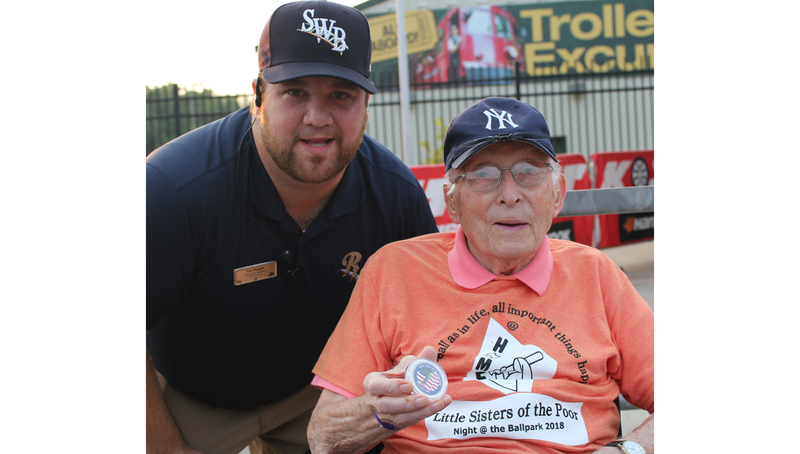 Learning our very own Edmund S., who is 102 and a veteran of World War I, was in attendance, Tim Duggan, group sales coordinator, presented Ed with a medallion in honor of his service to our country. It was a great surprise to cap off a great night!